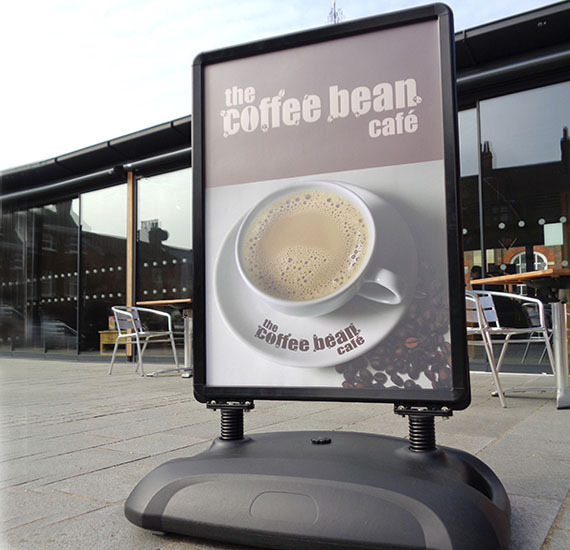 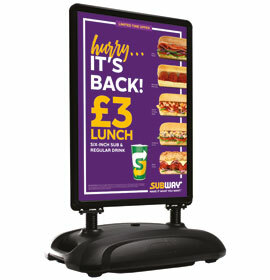 A1 A0 30" x 40"
Aluminium frames, aluminium composite back panel, PET poster covers, steel brackets and HDPE base. 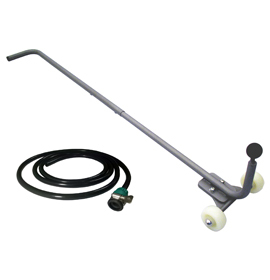 Mechanical fixings throughout for easy 'end-of-life' recycling. 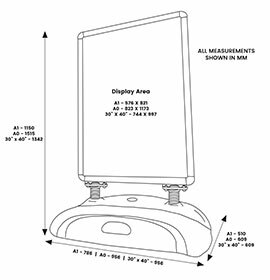 Description All your Sightmaster 3 will be sent as individual units by parcel delivery. 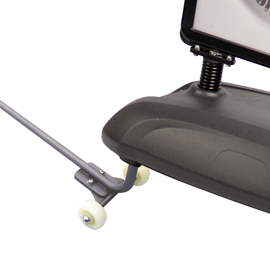 Your Sightmaster 3 will be sent in two separate deliveries – one by pallet, one by parcel. 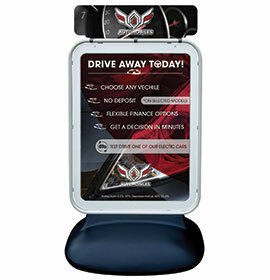 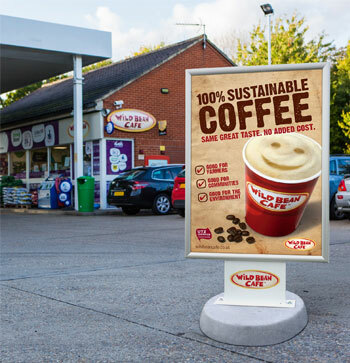 The Sightmaster range has proven a popular large format display solution – delivering cost effective tactical promotion in any forecourt position. 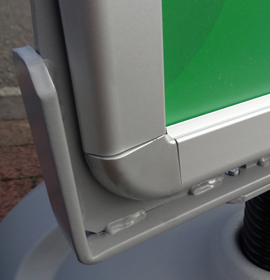 Now the Sightmaster 3 provides two colour options with advanced style, stability and performance. 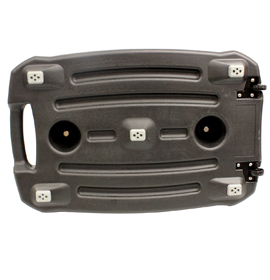 High strength ACM back panels with a smooth white surface. 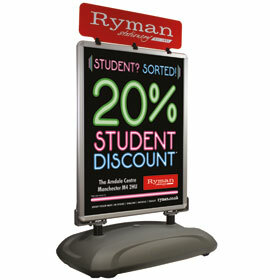 Suitable for self-adhesive vinyl graphics or liquid chalk pens if posters are not in use. 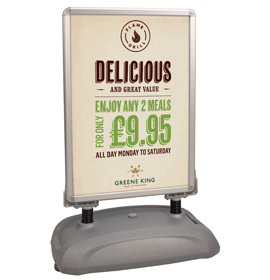 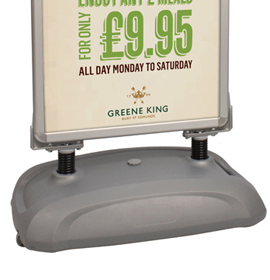 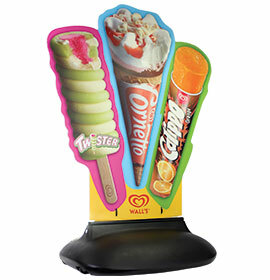 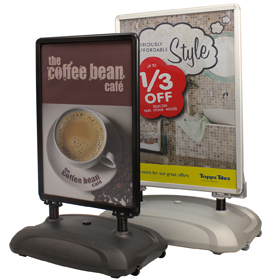 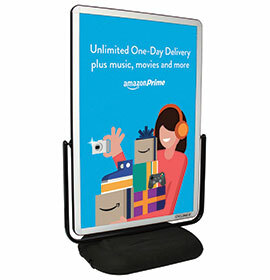 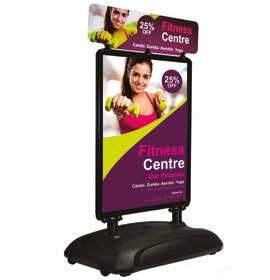 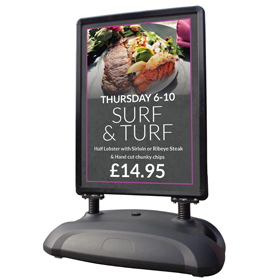 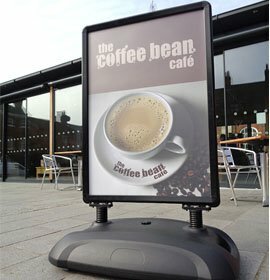 Ideal for forecourts, entrance approaches, car parks, retail outlets and shopping centres.